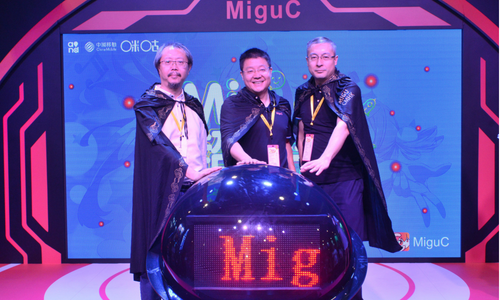 China Mobile Hong Kong (CMHK) introduced MiguC, an online entertainment anime platform, at this year’s Animation-Comic-Game Hong Kong (HKACG). The collaboration aims to capture the younger generation in the market. MiguC is an online entertainment and informative anime platform which originated in mainland China. Through this debut in Hong Kong, it aims to provide the local young generation with more diverse online entertainment content. MiguC currently has over 20 million songs, 4.6 million videos, 500,000 books, 470,000 episodes of anime, and more than 30,000 games. It stated it will continue to introduce more diverse entertainment content online to stay competitive in Hong Kong. The online anime platform has a profit-sharing scheme where users may receive over HKD$1 million bonus by uploading their own original content. Through this collaboration, China Mobile stated it hopes to promote the development and success of creative works by youngsters on a holistic platform, taking them to international markets. As part of the event promotion, customers will get a maximum of one year MiguC’s VIP experience if they successfully join China Mobile Hong Kong’s service plan during the HKACG exhibition, alongside other offers targeting students and anime fans. Industry experts are calling breakout South Korean self-promotion machine PSY's latest hip strutting, chair pulling video a bit on..